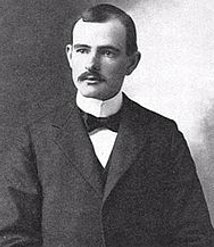 Joseph Grinnell was one of the most celebrated figures in American natural history during the forty years preceding the Second World War. Grinnell was an all-around contributor: as a researcher and writer (over 550 publications), teacher and advisor, field biologist and collector (one of the most talented, by all accounts), active conservationist, editor, administrator, and association man. Among the highlights of his career were his founding of the Museum of Vertebrate Zoology at Berkeley, some twenty thousand field-collected specimens (mostly birds), his editorship of The Condor for over thirty years, his naming of ninety-seven bird taxa and sixty more mammals, and his publication of the books Fur-bearing Mammals of California and Game Birds of California. Grinnell is also known for his introduction of the term "niche" in a 1917 paper. As a biogeographer he was an enthusiastic supporter of Merriam's life zones model, which he applied in the course of several thorough faunal surveys he administered within the state of California. Grinnell's most important contribution in this area, however, lay in his study of barriers (such as canyons and rivers) and their effect on the speciation process. His best known scientific publication is probably 1914's "An Account of the Mammals and Birds of the Lower Colorado Valley With Especial Reference to the Distributional Problems Presented," which features discussion on this subject. --born in the Kiowa, Comanche and Wichita Indian Agency near Fort Sill, Oklahoma, on 27 February 1877. --dies at Berkeley, California, on 29 May 1939. --The Condor, Vol. 42(1) (1940): 3-34. --Journal of Mammalogy, Vol. 20(4) (1939): 409-417. --Journal of Wildlife Management, Vol. 3(4) (1939): 366-368. --The Auk, Vol. 59(2) (1942): 269-285.